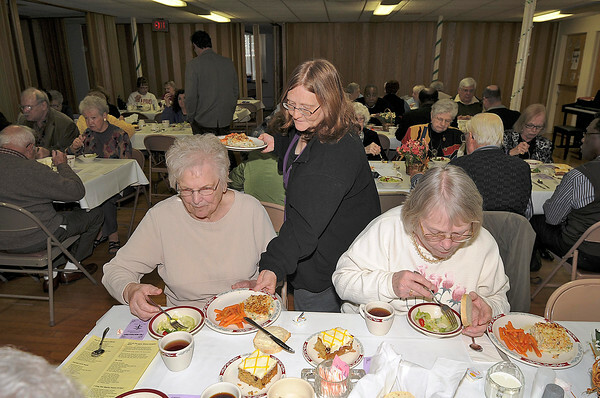 James Neiss/staff photographerNiagara Falls, NY - Volunteer Rita Horner, center, serves up some meatless lasagna to Mary Fegatilli, left, and Marge Fiacco at the First Presbyterian Church Community Lenten Lunch on Thursday. The next lunch on April 5, features guest speaker Rev. Mark Perkins and a Glazed Ham Ball entree.